Last week I took a look at the new tanks that 8.2 will be adding, but Wargaming have also announced new achievements and game mechanics. This is going to be a pretty substantial patch even without the new tanks. Before I dump all the update news on you, don’t forget that Tanksgiving has now started and will be running until 11:30am GMT on November 23. During this time, crew experience is doubled, while there’s a 50% discount on the credit cost of equipment and garage slots. There’s also a 50% discount on the credit cost of crew skill resets. Right then, are you ready? In addition to the aforementioned new tanks, here’s what else we can expect from the patch. Some of the most significant changes include new sound effects (and after I just advised you to try some custom ones! ), improved draw distance, an achievement for getting shot a lot but somehow not dying (I’ll definitely be receiving that one) and the ability to finally, finally use fallen trees as cover. Changed to armor values more in line with historical real-world vaues for Т-34-85, IS, Matilda (British) tanks. Changed armor display interface (without displaying the armor itself) of the SU-5, T-46, КВ-13, SU-85B, SU-101, Object 268, KV-2, KV-3, IS-3, KV-4, IS-8, ИС-7, ISU-152, VK 4502 A, PzV Panther, Centurion, Centurion Mk3, FV4202, Covenanter, Cruiser MkI, Valentine, Caernarvon, Centurion, M6. Fixed a rare bug that occurred when a projectile disappeared after penetration of the mantle, hitting the gun but the gun was not damaged. 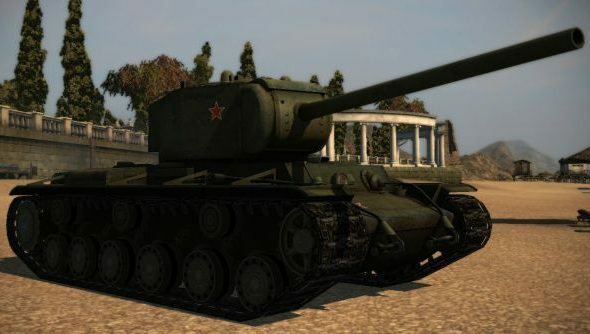 Fixed destroyed models errors of the Gw Panther, Е-100, Lowe, Grille, Lorraine39 L AM, Lorraine40t, T25-2, Panther M10, Object 212, Object 704, AMX 13F3AM, AMX 105AM, ARL 44, Matilda (British), AMX13-75 vehicles.